In 1969, Michael and Lorraine Hayes began growing strawberries on the Smither's Orchard in Tocumwal. From there, they grew strawberries in Snell Road ,Barooga, then to Cooray Street in Cobram, then moving to Manse Road ,Cobram then Purgatory Rd in Cobram then moving out to Allen Steven's property in Koonommoo. In 1981, they purchased the current property in Torgannah Road, Koonooomoo with Michael's main trade still being a mechanic. In 1984, with one of their three sons, Darren, the Scenic Drive Farm was developed on four hectares, with one acre being used for strawberries. In 1992, they produced strawberry wine, jam and liquer from a small corner in the strawberry packing shed on the property. In 1997, they built a purpose built kitchen and retail sale area onto the existing packing shed in Torgannah Rd Farm in Koonoomoo. 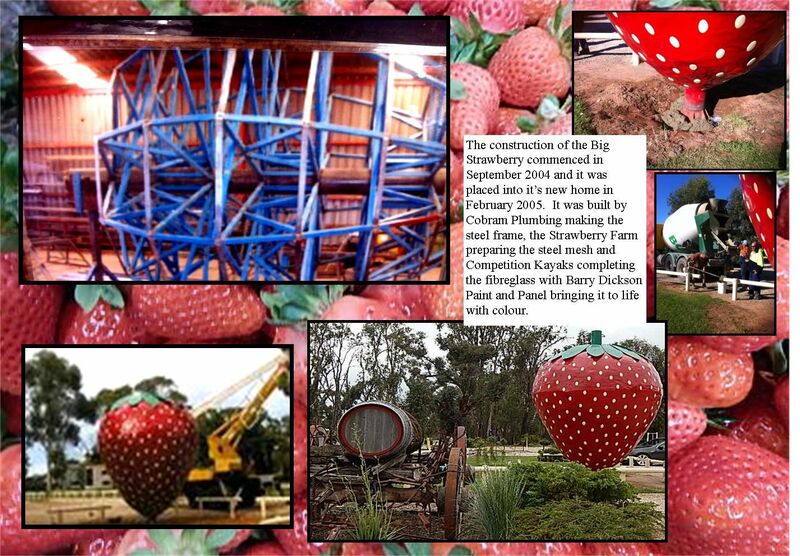 The actual "Big Strawberry was erected in Feburary 2005 to further endorse the business' strawberry status. Michael and Lorraine Haye's son Darren also worked in the family business and together with Darren's wife Tarn,they took over the reigns a couple of years ago with Michael still helping with the farming & production side of the business. 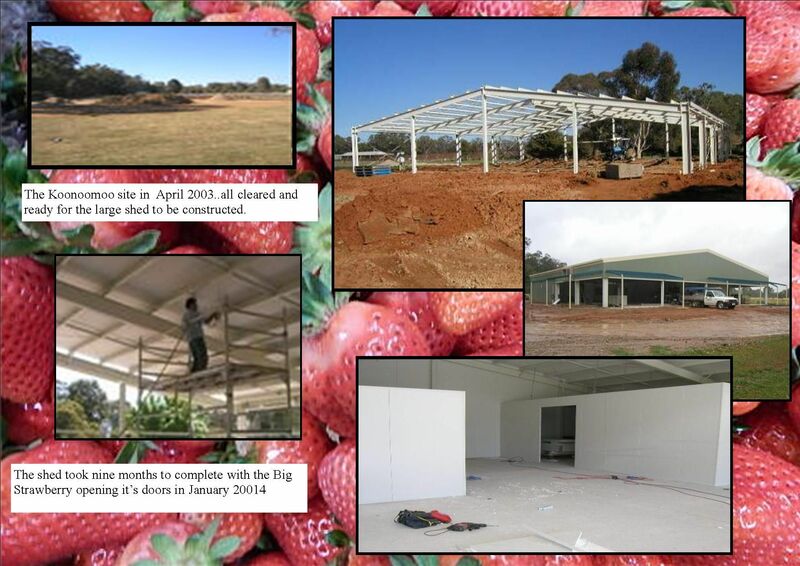 The Big Strawberry farm consisted of nine hectares with two acres being used for strawberries. In 2018, the Big Strawberry expanded to cater for the growing need of families who visited in the 1000's to the busy cafe and tourist complex.. Along with a larger eating space, the extension included a large indoor playground, production viewing area, eduaction area and a children's party room. The Mancave Memorabellia and History Rooms were also added along with an Indoor Beehive and "Strawbees"
In the search of more healthy produce to supply to the area, Darren and Tarn purchased a avocado farm and are currently supplying the Big Strawberry business with heaps of fresh local grown avos... they are researching ways to value add to avocados with the first batch of avocado wine about to be bottled and avocado ice cream now for sale.